Always losing your keys? Need a unique way to display your I.D. badge for work or school? Do you love The Grateful Dead as much as we do? Look no further, this is the lanyard for you! 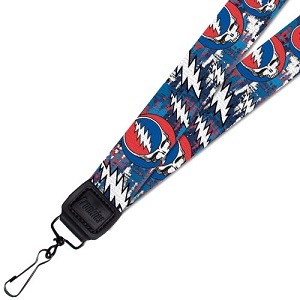 This Grateful Dead lanyard features multiple Steal Your Faces and 13 point lightning bolts. Hook your keys or hang your work or school ID on it. Officially licensed Grateful Dead merchandise.